Libyan Desert Glass: Mineral information, data and localities. An impact glass from a strewnfield in the Western Desert of Egypt. The impact origin is disputed, however, by some scientists. The impact site has not been located yet, although there is clear evidence an impact happened (e.g., Kleinmann et al., 2001). In 2013, Kramers et al. published analyses of a small black rock and proposed it to be the remnant of a cometary nucleus fragment that impacted after incorporating gases from the atmosphere. 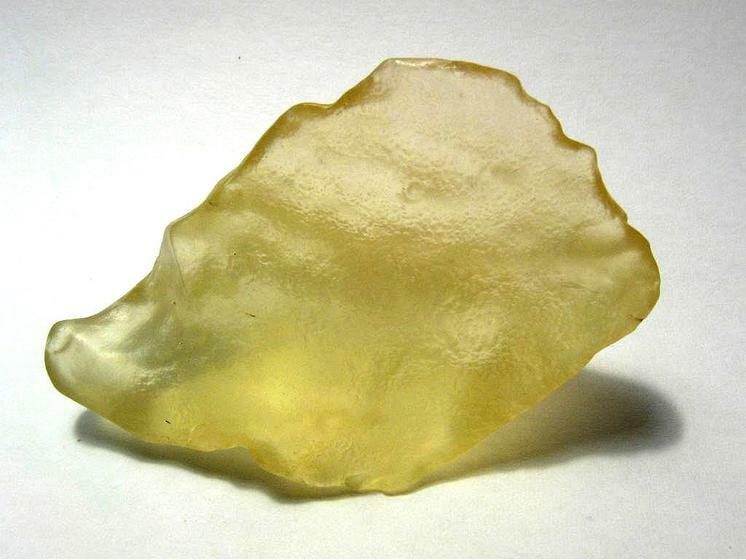 The major component of Libyan Desert Glass is almost pure molten silica glass, Lechatelierite. The glass was discovered by the international scientific community in 1932, but it had been used by the Ancient Egyptians as a gemstone. Visit gemdat.org for gemological information about Libyan Desert Glass. Petrified Wood 1 photo of Libyan Desert Glass associated with Petrified Wood on mindat.org. Oakstone 1 photo of Libyan Desert Glass associated with Oakstone on mindat.org. Tektite 1 photo of Libyan Desert Glass associated with Tektite on mindat.org. B. Kleinmann (1968): The breakdown of zircon observed in the Libyan desert glass as evidence of its impact origin. Earth and Planetary Science Letters 5, 497-501. Virgil E. Barnes and James R. Underwood, Jr. (1976): New investigations of the strewn field of Libyan Desert Glass and its petrography. Earth and Planetary Science Letters, 30, 117-122. R.F. Fudall (1981): The major element chemistry of Libyan Desert Glass and the mineralogy of its precursor. Meteoritics and Planetary Science, 16, 247-259. Ulrich Jux (1983): Zusammensetzung und Ursprung von Wüstengläsern aus der Großen Sandsee Ägyptens. Zeitschrift der Deutschen Gesellschaft für Geowissenschaften, Band 134, 521-553. Weeks, R. (1984): Libyan Desert glass: A review. Journal of Non-Crystalline Solids, 67, 593-619. 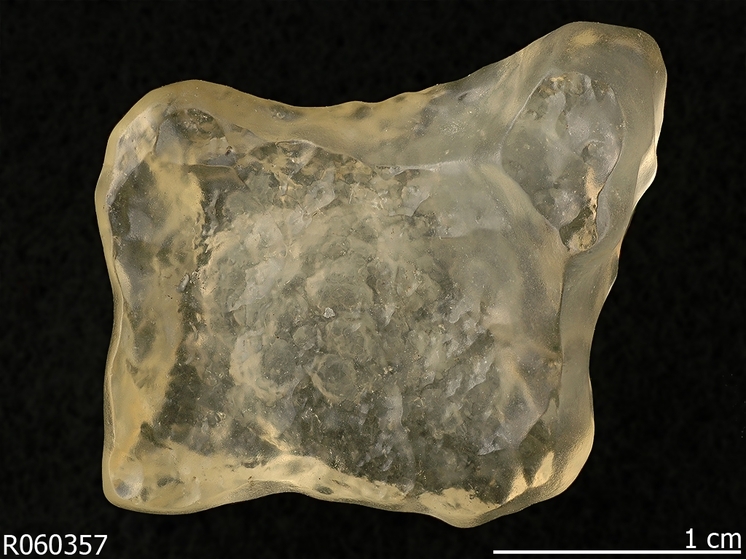 Barbara Kleinmann, Peter Horn and Falko Langenhorst (2001): Evidence for shock metamorphism in sandstones from the Libyan Desert Glass strewn field. Meteoritics & Planetary Science 36, 1277-1282. Silicate-silicate liquid immiscibility and graphite ribbons in Libyan desert glass. Geochimica et Cosmochimica Acta 66, 903-911. Marcel Swaenen, Elzbieta Anna Stefaniak, Ray Frost, Anna Worobiec and Rene Van Grieken (2010): Investigation of inclusions trapped inside Libyan Desert Glass by Raman microscopy. Analytical and Bioanalytical Chemistry, 397, 2659-2665. Kramers, J. D. et al. 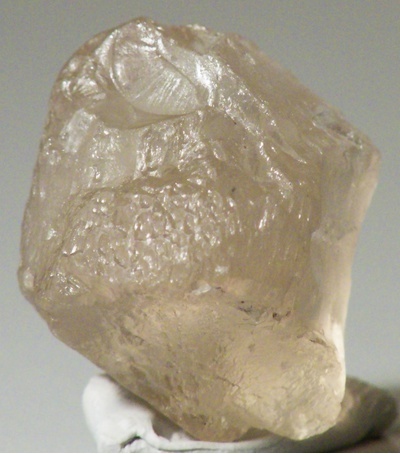 (2013): Unique chemistry of a diamond-bearing pebble from the Libyan Desert Glass strewnfield, SW Egypt: Evidence for a shocked comet fragment. Earth and Planetary Science Letters 382, 21–31.